Sergeant Justin Thorpe has dedicated his life to justice and won't stop until he finds the vicious serial killer who has already claimed ten innocent lives. 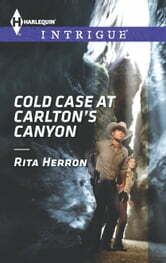 He works solo-until he joins forces with Sheriff Amanda Blair. The Texas Ranger can't let his desire for his coworker keep him from his mission, especially when Amanda's life is threatened.